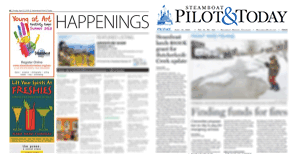 12:59 a.m. Steamboat Springs Police Department officers were called to a disturbance at a bar in the 800 block of Lincoln Avenue. A man was “being unruly,” and throwing punches at the bouncers. The bouncers had restrained the man. 9:30 a.m. Officers were called to a report of criminal mischief at a business in the 1600 block of Mid Valley Drive. A business owner reported several vehicles had been scratched and had windows broken in the past 12 hours. 10:24 a.m. Officers received a complaint about an off-leash dog at Howelsen Hill Lodge. Officers spoke to the dog’s owner. 4:04 p.m. Routt County Sheriff’s Office deputies received a report of a suspicious vehicle on Routt Country Road 51 near Hayden. 4:07 p.m. Deputies were called to a report of harassment at a home in the 200 block of East Jefferson Avenue in Hayden. 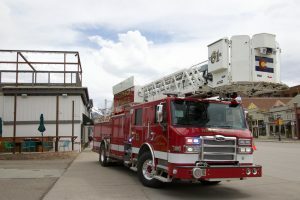 A West Routt Fire Protection District ambulance also responded to the scene for a possible overdose. A man was arrested on suspicion of misdemeanor harassment and disorderly conduct. 4:38 p.m. Officers were called to a drunken pedestrian at a restaurant in the 600 block of Lincoln Avenue. A man was walking towards the restaurant and appeared “very drunk or on drugs.” He tried multiple times to climb the stairs. Officers spoke to the man. 4:59 p.m. Deputies received a report of shots fired on a trail in Lost Park in Routt National Forest. 7:09 p.m. Officers were called when the same drunken man from the 4:38 p.m. incident was seen stumbling at a condominium complex in the 2200 block of Apres Ski Way. The man was transported to UCHealth Yampa Valley Medical Center for detox, after which a sober friend picked him up. 9:13 p.m. Officers were called to a report of threats at a restaurant in the 700 block of Lincoln Avenue. A person reportedly made racially threatening comments to another person. Officers tried but could not contact the person who reported the threat. 9:24 p.m. Deputies and Routt County Search and Rescue volunteers were called to rescue a person in the area of Seedhouse Road and U.S. Forest Service Road 443 near Clark.